The University Computer Centre has started in 2008. 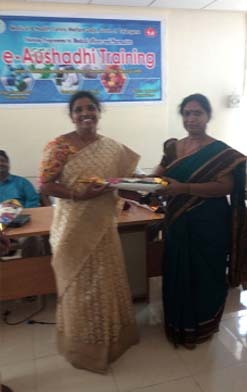 It has conducted various staff training programmes to impart the computer knowledge. As part of the upgradation/ expansion programme a separate training lab was started with 20 computers in 2008 and the number has been increased to 50 more computers during the year 2010. Out of the grants received (Rs.32.00 lacs) from the UGC during the 11th Five year Plan, 48 more computers were purchased during 2012 and the Computer Centre has been shifted to the new building. From the same amount we purchased licensed software (Windows 7, Windows Server 8 and Norton Antivirus) for university computer center. The University Computer Center have 95 Desktop Computers with internet facility and well furnished with AC's and UPS. University is providing 24 hours computer center service to the students, research scholars and staff. It has become a resource centre for both the students and employees to gain insight into the practical skills of computer. It also provides internet services to the students and research scholars of the university. Access is provided for e-journals provided through INFLIBNET program for scholars and teachers. Hence it fulfills the basic needs of the students in the present trend of online applications. In recent times every organization is looking forward to adopt online application services either in recruitment or the admission processes. It enables the students to get alerted for employment as well as the admission opportunities available at various organizations by accessing the internet. It was a major milestone in the university history in providing internet facility to all the students. Every student learner deserves to be given a chance to have the highest quality computer education. University Computer Centre envisions empowerment of staff and students, through workshops hands on practice sessions are conducted for all the university staff at ongoing program, using a unique blend of technology and innovative and interactive pedagogical methods. Four days Staff Training Programme for Deans, Principals, Heads and Chair Persons during the academic year 2008-09. Four days Orientation Programme on Basic Computer Operation and usage of MS- Office for Superintendents and Senior Assistants during the academic year 2009-10. Programme on Basic Computer Operation and usage of MS- Office and Internet Browsing for Research Scholars and Students of Social Sciences during the academic year 2010-11. 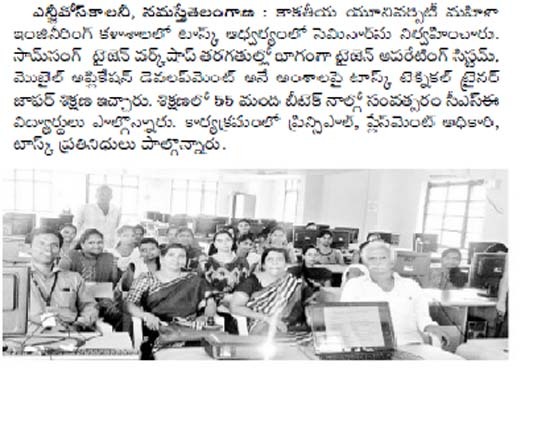 Programme on Computer Fundamentals, usage of MS- Office and Internet Browsing for Research Scholars of Social Sciences during the academic year 2011-12. Training Programme on Computer Fundamentals, usage of MS- Office and Internet Browsing Students of Life Sciences during the academic year 2012-13. In the Computer Centre conducted the TASK for B. Tech. III Year IT on Oracle from 01-08-2016 to 03-08-2016 to University College Engineering & Technology for Women, Kakatiya University, Warnagal. In the Computer Centre conducted the TASK for B. Tech. 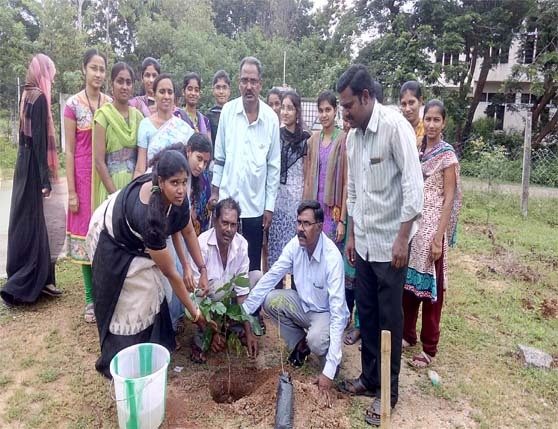 IV Year IT on Oracle from 04-08-2016 to 06-08-2016 to University College of Engineering & Technology for Women, Kakatiya University, Warnagal. In the Computer Centre conducted the TASK for B. Tech. III Year CSE on Oracle from 07-08-2016 to 09-08-2016 to University College of Engineering & Technology for Women, Kakatiya University, Warnagal. In the Computer Centre conducted the TASK for B. Tech. IV Year CSE on Oracle from 20-08-2016 to 24-08-2016 to University College of Engineering & Technology for Women, Kakatiya University, Warnagal. 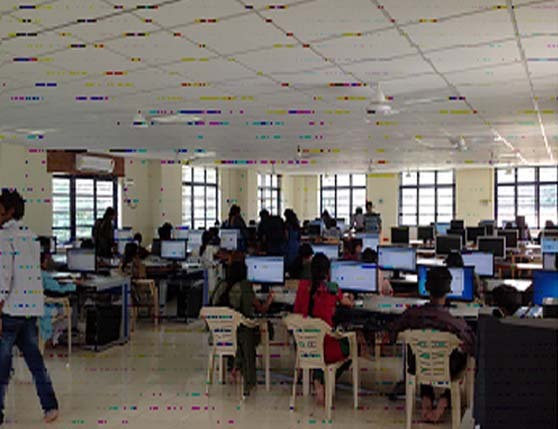 In the Computer Centre AMCAT exam conducted on 24-08-2016 for the students of University College of Engineering & Technology, Kakatiya University Campus, and Warangal. 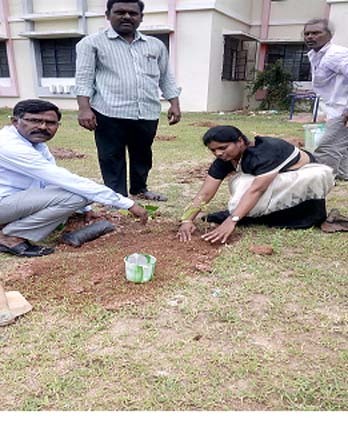 University Computer Centre, Kakatiya Unveristy, Warangal, conducted Haritha Haram on 30-07-2016.Director, Incharge Librarian and students were participated and planted 25 plants. In the Computer Centre e-Aushadhi Training which will be the part of the implementation of online System for Drug indenting and capturing in the Govt Hospitals of Telangana State was conducted for the medical officers and pharmacists on 9-1-2017 and 10-1-2017. The Centre is looking forward to facilitate the students with computer knowledge by providing computer training programmes to all the interested students and scholars of arts and social sciences particularly. The centre also proposes a Certificate Course in Computers which covers Microsoft Office, C, C++, JAVA, .Net, LaTex, Scilab, PHP&MYSQL, Python and other scripting languages, Fundamentals of Internet and Social Networking, Operating System(linux Ubuntu) with 2 months duration. The University Computer Centre is willing to adopt the “Spoken Tutorial = A Collaborative and Scalable Education Technology". Spoken Tutorial is an audio-video tutorial that explains an activity performed on the computer. Screen-cast software makes a movie of the entire activity, both the screen and the spoken part. The running commentary can be in English or in any other language. The Spoken Tutorial is a recording of an actual session. The Spoken Tutorial project is the initiative of the “Talk to a Teacher” project of the National Mission on Education through Information Communication through Technology, launched by MHRD, Government of India. University Computer Centre is planning to collaborate with IIT-Bombay for conducting online learning programs such as "A-View" classes. A-View is part of Talk to a Teacher program coordinated by IIT Bombay and this programme is funded by the Ministry of Human Resource Development (MHRD) under the Indian Government’s National Mission for Education using Information and Communication Technology (NME-ICT). A-VIEW is now deployed at several IITs, NITs and other leading educational institutions across the nation. The University Computer Centre Lab has to divided two (2) wings, one wing for regular browsing usage for all the students of Kakatiya University. Second wing has to use for conducting and practicing online examination.And also to be used online tutorial and e-learning.